Following footsteps… – …STILL CRAZY AFTER ALL THESE YEARS! Well, if he is indeed the son, his father used to have a stall at another coffee shop in the vicinity, right around the corner but no, he is no longer there. There is a stall at night at the Taman Muhibah hawker centre and I did see one at this coffee shop opposite Wisma Sanyan in the town centre. 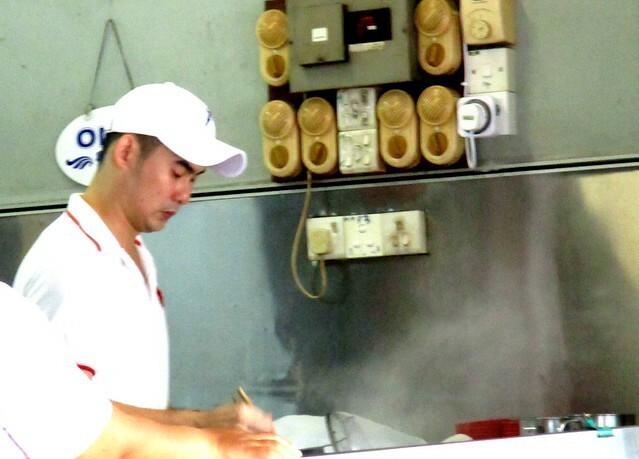 Maybe there are more in this chain of kampua noodle stalls, I wouldn’t know. I did go and try the noodles at the father’s stall but I did not quite like it even though he did have quite a following – there were some who said that his was nice. It was kind of soggy and somewhat starchy but I did try the one here at this stall, white (no dark soy sauce added), and I thought it was all right, nice but no, it wasn’t anything to get excited about. It was all right too but personally, I would prefer it without the chili sauce added. – I wish people would get their workers to handle the crockery carefully when washing and when cracked or chipped, they should throw them away. I don’t recall anything like that the previous time but still, at RM3.50 a plate, it is 30 sen more expensive than here and a lot more than elsewhere and at that same price at this air-conditioned place here, I would say that the one at the latter is a whole lot nicer. MEI LE CAFE (2.313147, 111.846968) is located along Jalan Gambir, a stone’s throw away from the Delta Mall, on your left as soon as you turn into that road from Jalan Pedada. Cracked or chipped crockery may pose a danger to diners. They may be reused as decorative material in the garden. No need to join the landfill garbage so soon. Will have to make sure they do not collect water and provide breeding places for mosquitoes. Would be good to stand indoor potted plants in to collect the water from watering, inside the house or those in the balcony, people who do not have landed property but one must remember to pour away the water that collects in them. I guess that is why many use plastic or melamine – they are more durable – but that is like jumping from the frying pan into the fire – not good to serve hot food in those…like the bowl of complimentary soup in the post. I agree with the comment above. And that is a pretty dish. Yes, it sure is. They should tell their workers to handle the crockery carefully while washing – I don’t think it was the customers who did the damage. I also dont fancy been served with cracked or chipped plate. Even worse, chipped glass!! Haven’t seen that for a while now. I guess they are more careful with those these days. Can cut one’s lips if drinking straight from those. All this while the Arthur I know of, only like original white kampua. Did you request the kampua to toss in chili sauce? Chipped glass/mug is worst than chipped plates. Yes, I would have it white to be able to taste the flavours of the noodles. Thought I’d ask for it tossed in chili that day for a change and no, I did not like it, all chili sauce taste. Incidentally, I’ve noticed that they do not give you the chili sauce in a little saucer anymore these days unless you ask for it – they used to do that even if you do not want it. I guess with the rising prices of everything, they would need to cut costs where they can. I finally tried Kampua Mee the other day. I’m afraid it was below par as I did not really enjoy it. 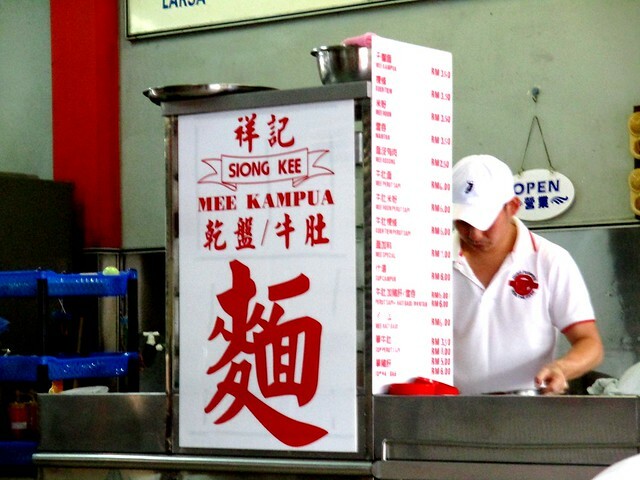 I suppose one has to know where to go for a good plate of kampua mee. Where did you go to? Did you try the ones I blogged about? The locals from here working and residing over at your side gave their nod of approval. Did I send you the instant ones? Those come pretty close to the real thing here but then again, even here, like you said, one would need to know where to go. Like everything else, there are good ones, ok ones…and some not worth eating at all. What type of Chili sauce? Local sweet chili sauce? Long ago, there used to be some local made ones that came in jars. 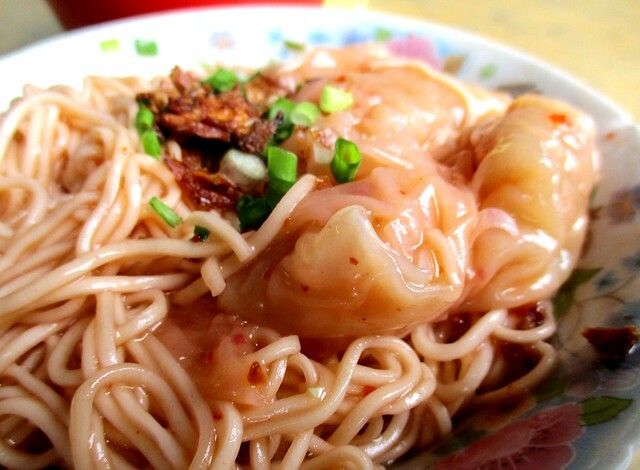 I hear at a kampua mee stall in Singapore, they will give the regular bottled ones but if you ask, they will give you the “Sibu kampua chili sauce”. I rarely have mine with chili sauce so I wouldn’t know if there is a difference. Ew. Chips crockery and glassware are a big turn off for me too. I will not say anything right there and then but once I see that, I will not bother going back to the place again. They are charging a lot more than others and their noodles ain’t anything special, pretty much the same as elsewhere and there are others that are nicer so at least, they should make sure they use proper plates and bowls and discard those broken ones. Chipped… sorry, typing on my phone and auto correct is not always my friend. 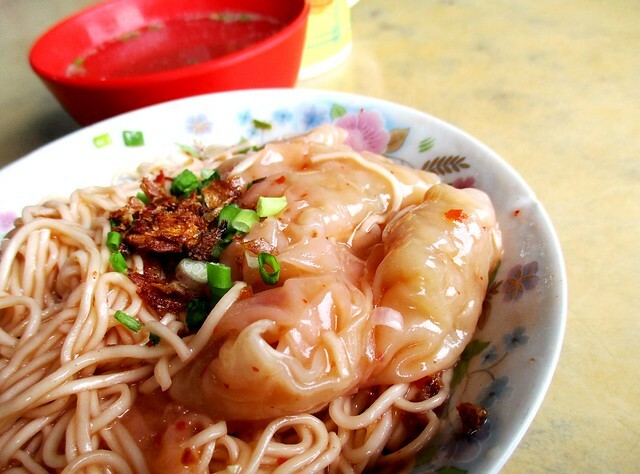 The ones in Sibu, mostly skin, just traces of meat…not like wanton. I wouldn’t mind those somewhat dull stainless steel plates and bowls, really…even though they do not look very nice. Pingback: Cheap… – …STILL CRAZY AFTER ALL THESE YEARS!